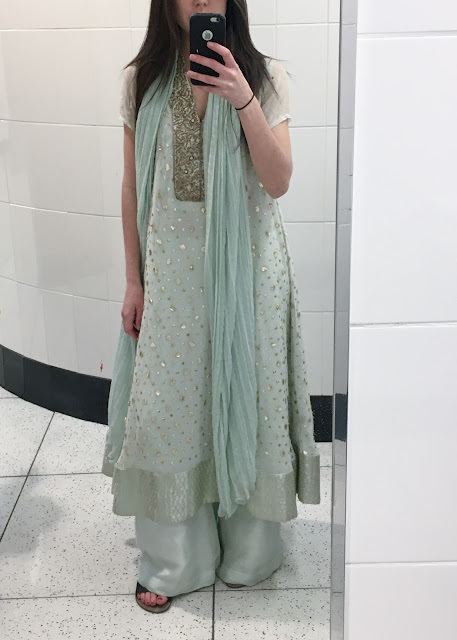 I recently attended the amazing wedding of some friends, for which I was lucky enough to borrow an outfit for one of the nights of their celebration. After seeing what I would be wearing that night, I decided to double down and just make it a fashion weekend. I love clothes (obviously) and I think that style and fashion should be fun, and sometimes, dramatic. 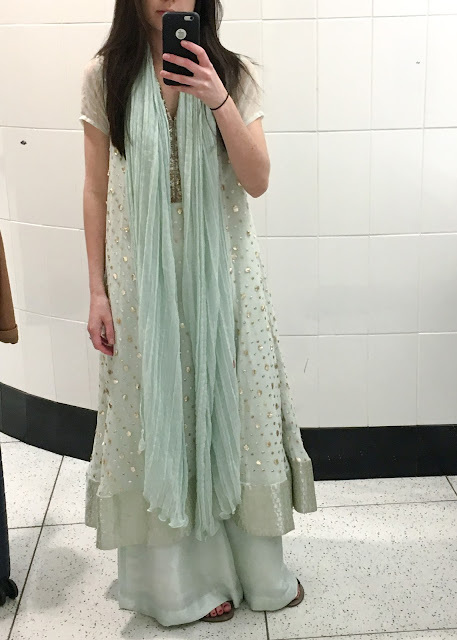 I was only borrowing this shalwar kameez (and if you ever happen to read this blog, thank you S!) and thought it was amazing. 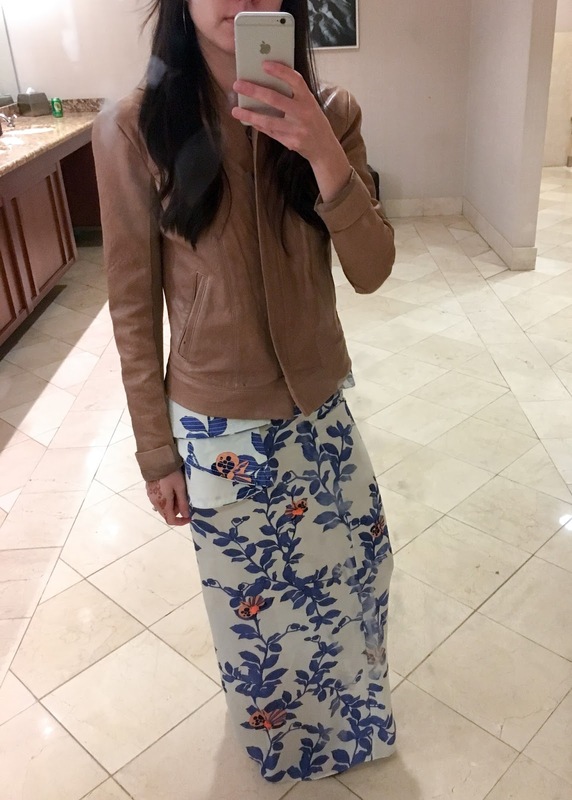 It is three pieces, the heavily embroidered dress, a pair of pants (which in this case were a loose, palazzo pant), and a scarf. 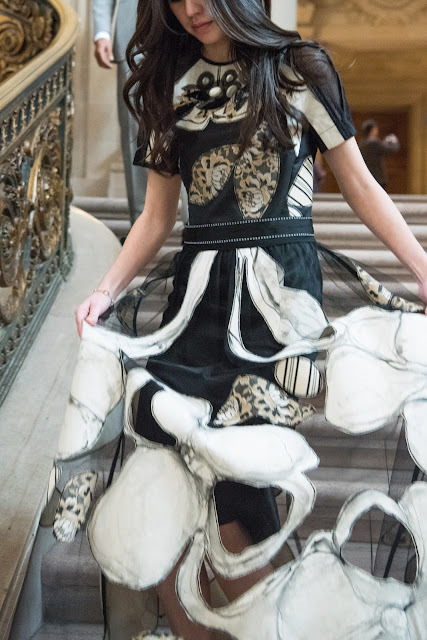 The dress is designed for maximum twirl-ability and the whole look is insanely comfortable. 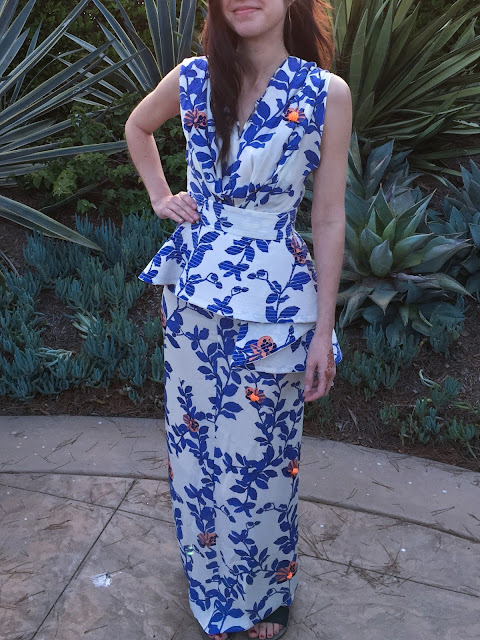 I loved wearing it, and as almost all of the other guests at the event were similarly dressed, it was a great way for clothing to help me feel even more connected to the festivities. 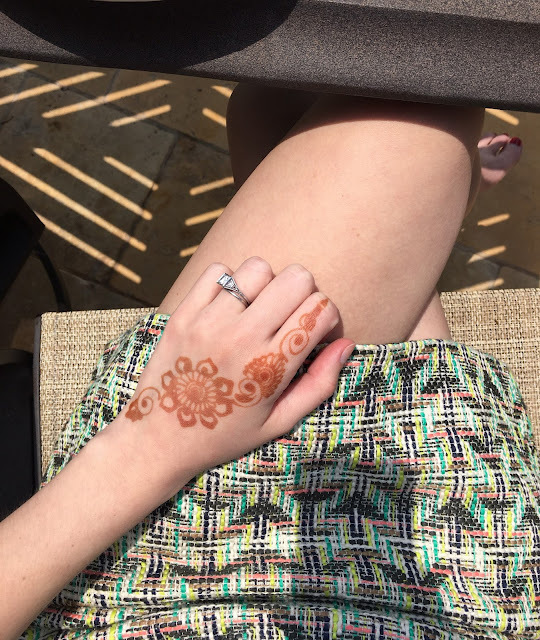 The henna also helped as well, although as I am sometimes lacking in grace, I got it all over my other hand, and was narrowly stopped from getting it on my face, as well. 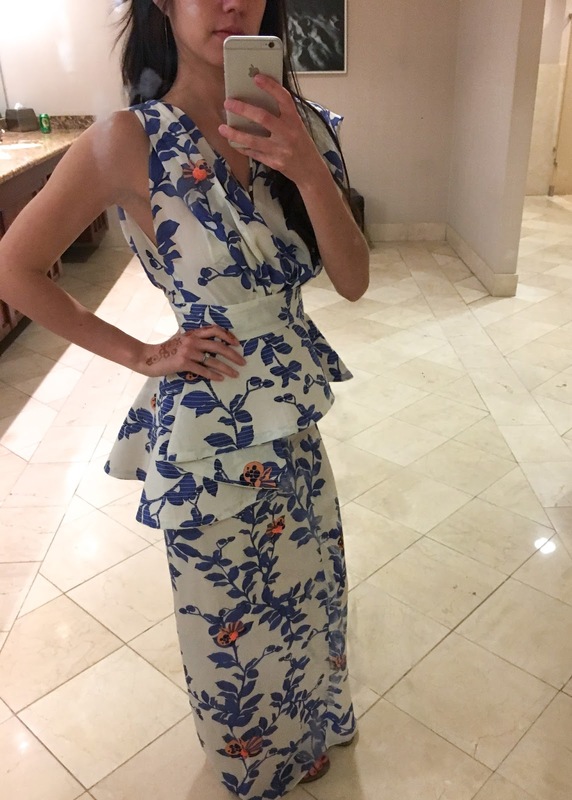 Knowing I was wearing that first outfit for night one, I decided to break out a Johanna Ortiz dress that I bought this year from UAL (I did a brief write-up on them here), in all of it's peplum-glory. As an FYI, I am wearing an XS, and while it zipped, I could have easily sized up. This dress is totally special, and I felt great while wearing it. I love the print, the little embellishment beads in the middle of some of the flowers, adding a fun 3D effect, and obviously the peplum. 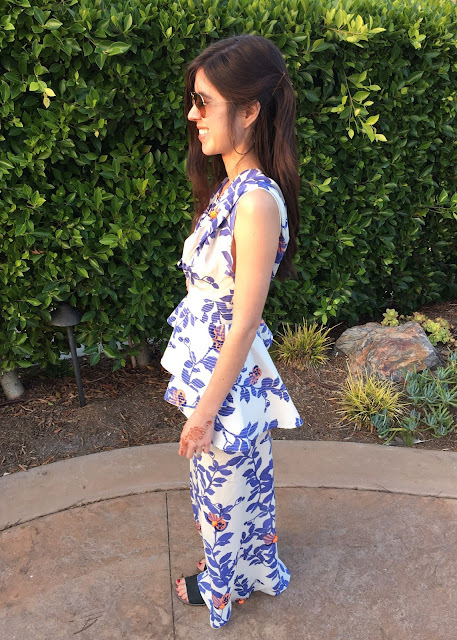 A peplum, for anyone who doesn't know is a "short, flared, gathered or pleated strip of fabric attached at the waist of a women's jacket, dress or blouse to create a hanging frill or flounce" (and per Dictionary.com). 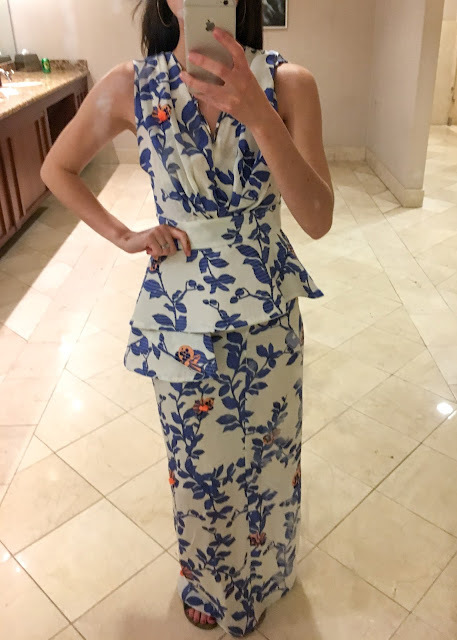 I found out at this wedding that very few men know what a peplum is, so I took upon myself all night to get the word out (and if you don't know, now you know). 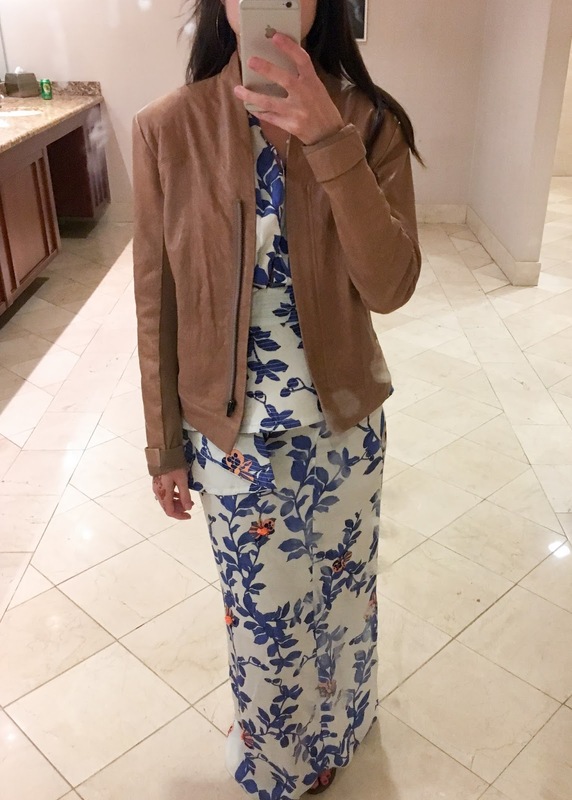 What is your favorite wedding outfit? 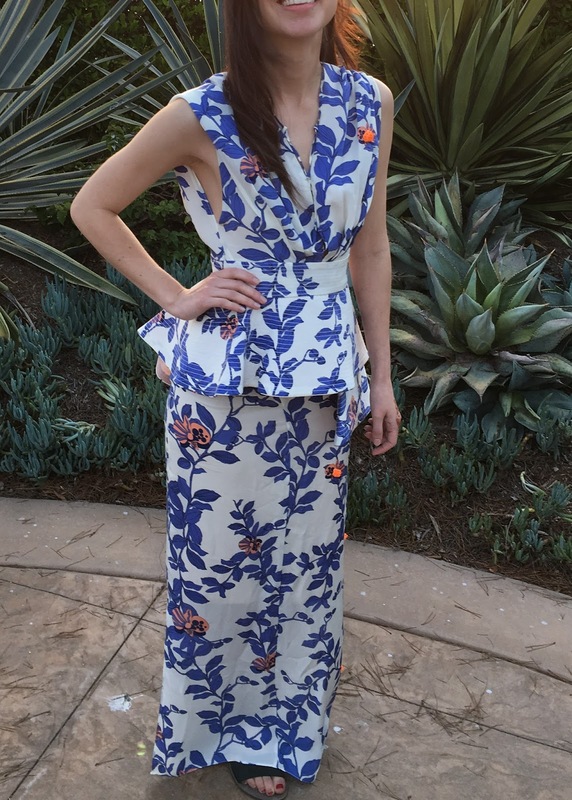 That blue/white dress is stunning on you! I love the oriental-esque style of the print and the stitching on the belt reminds me of an obi. Not sure if that was the intention or not, but works very well. Bravo! Thank you! Also, I didn't see it before but I totally agree that the waist is very obi-like!